Tuesday Oct. 9 is the last day to register to vote for local, statewide and national representatives. Nearly 4.5 million Hoosiers are registered to vote. This year's election, in addition to local races, will decide Indiana's Secretary of State, Auditor of State, and Treasurer of State. All of Indiana's U.S. representatives and U.S. Sen. Joe Donnelly's (D-Ind.) hotly-contested seat will also be decided. To register to vote or check registration status, go to IndianaVoters.com. To vote, you must be 18-years-old as of Nov. 6, a U.S. citizen, not currently in prison after being convicted of a felony, and live in the precinct where you vote for at least 30 days prior to the election. CORRECTION: A previous version of this story said Hoosiers were ineligible to vote if they were currently in prison or convicted of a crime. That was unclear. 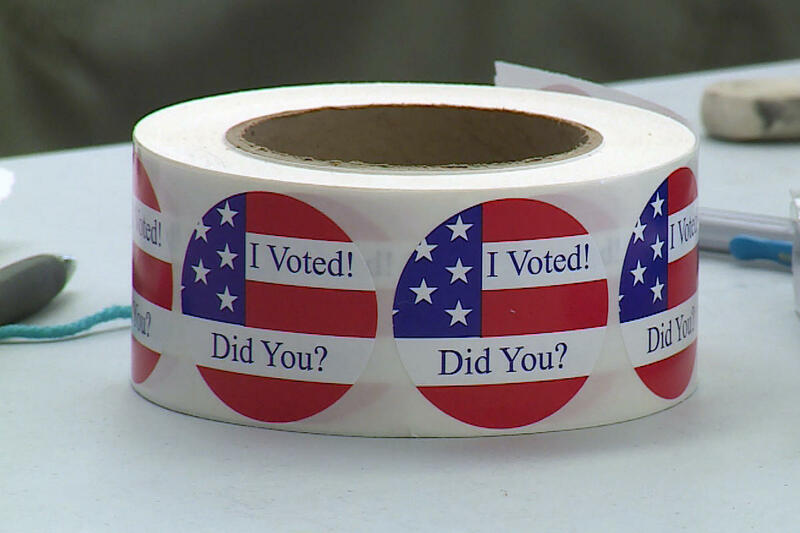 Hoosiers are ineligible to vote if they are currently in prison after being convicted of a felony. Those jailed pretrial or incarcerated on misdemeanor charges are eligible to vote. After serving their prison sentence, those convicted of felonies have their voting rights restored. 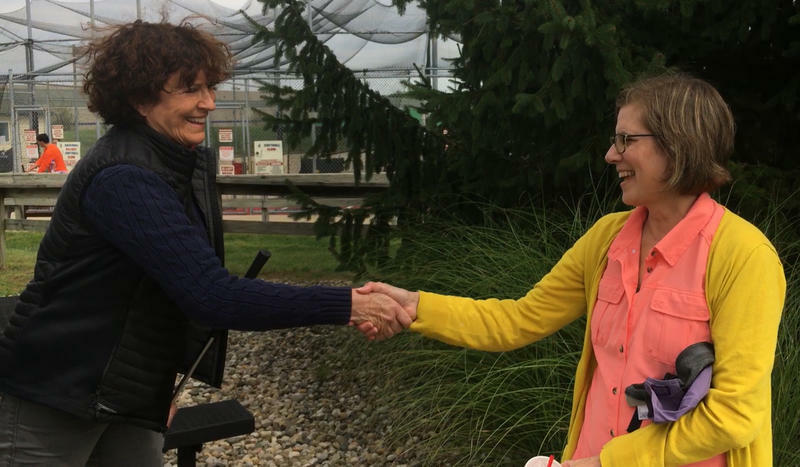 In the second of WBAA’s mini-golf conversations about the 2018 elections, Indiana State Senate candidates Sherry Shipley and Ron Alting hit the links for what’s likely to be their only joint question-and-answer session this election season -- at least if Alting's camp gets its way. EDITOR'S NOTE: A candidate's miniature golf score should NOT be construed, in any way, as reflecting a candidate's fitness for office. This year, WBAA endeavored to do a different type of election coverage -- one where the hazards are mostly the water and sand variety. 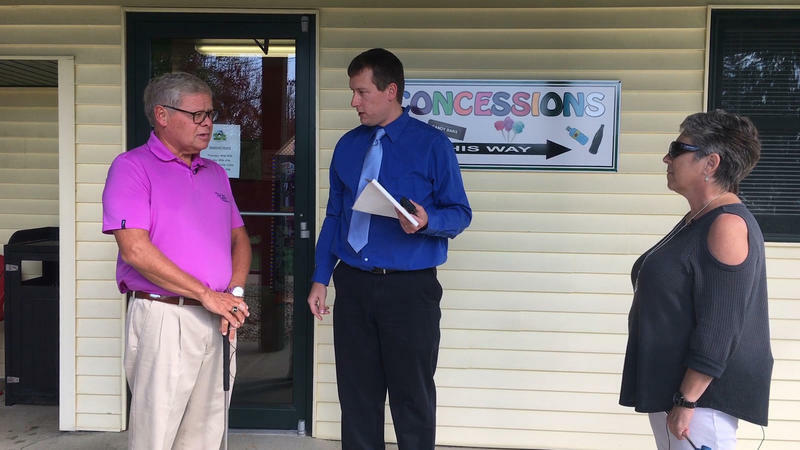 WBAA’s Stan Jastrzebski took candidates miniature golfing this fall to have a conversation about the issues, rather than a debate, while the candidates had a friendly competition on the links. Holding the putters in this first segment are Chris Campbell and Sally Siegrist, the two candidates for State House District 26, which represents West Lafayette in the legislature.